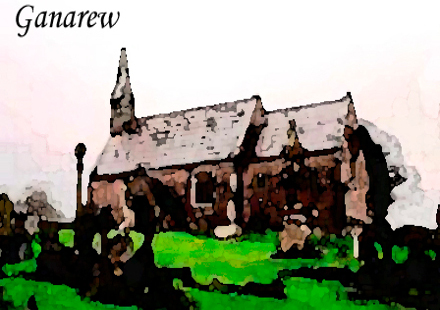 Whitchurch and Ganarew Group Parish Council serves the communities of Whitchurch, Ganarew, Symonds Yat, Crocker's Ash, Lewstone, Great Doward and Little Doward in Herefordshire. Located in the Wye Valley, the parish is part of an Area of Outstanding Natural Beauty. Please contact us if you have questions concerning the council or if you have any issues that you feel the council should be aware of, or where it can help or support you. 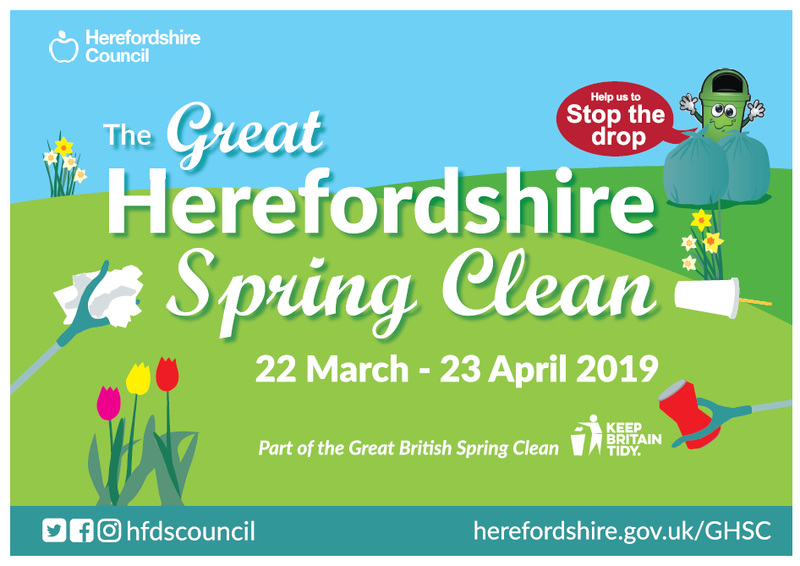 Please find below a link to the latest issue of Herefordshire Now, Herefordshire Council’s quarterly publication to share news and information about council services with residents. Herefordshire Now is available HERE! WISH, Herefordshire’s community website, has a new What’s On section where you can promote any events you’ve got coming up for free. It’s quick and simple and you don’t need to register with WISH to use it. Healthwatch is your champion for health and care services in Herefordshire. We collect your views and listen to your experiences, and feed that information back to service providers and commissioners to help improve services through what you’ve told us. Across Herefordshire and Worcestershire, health and care organisations are committed to providing safe and effective services, but the way some services are run may need to change. This is partly because of a growing population and rising demands on services, and making the best of the resources available. Due to the size of the challenge, health and social care bodies in Herefordshire and Worcestershire (and across England) are working together on a plan to help make sure health and care services are safe and sustainable for the future. Healthwatch will be feeding the information gathered from the survey and further engagement activity back to service providers and commissioners of services, so they are included in the shaping of plans for services going forward. Everyone is being encouraged to think about the Unusual Suspects, items that people aren’t always sure can be recycled or not. To help avoid confusion Herefordshire Council have produced a new guide for recycling which Herefordshire residents can use to find out what can and can’t be recycled from your home into your green bin or recycling sack. 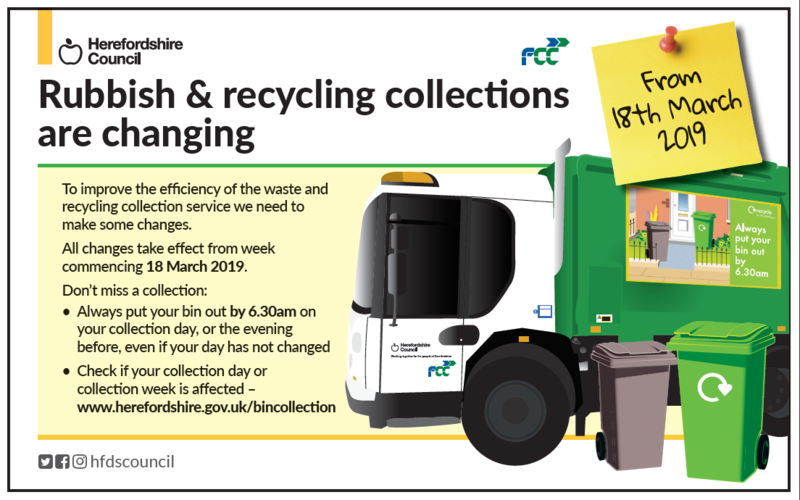 Making sure we only put the right things in our recycling is really important as putting the wrong items in can contaminate other clean recycling and can harm the environment through the extra treatment and transport required to remove it. Please read the guide attached here and if you need further information please visit the recycling and waste pages on the council’s website www.herefordshire.gov.uk/recycling. Films start at 7.30pm. Doors and Licensed Bar from 7pm. Entry £5. Many people are not aware that the Hall has an upstairs Snooker Room with a very recently refurbished table. The room can be hired by individuals wanting an occasional or regular chance to play. There are two main Snooker groups which meet on Tuesday evenings and Thursday afternoons. Please direct enquiries to Judith Gill (01600 890943) in the first instance. The Hall is home to an Art class, Yoga, Short Mat Bowls, Fitsteps, Table tennis, Puppy training. There is a Good Neighbour Coffee Morning every 1st and 3rd Wednesday from 10.30 to 12 noon. All are welcome. Regular activities at the Memorial Hall. The Hall also runs Live Jazz nights 4 or 5 times a year. Snooker: Two groups, Tuesday evenings and Thursday afternoons and individual players can book by arrangement. If you would like to join in any of these activities, contact the Booking Clerk Mrs June Ruck 01600 890784 or Judith Gill 07768 096438. The Whitchurch and Ganarew Memorial Hall 100 Club supports the Hall by raising money for the Refurbishment Fund. Membership of the 100 Club is by purchase of one or more numbered shares. A share costs £12 per year and every four months a draw of all paid-up shares is held. At the draw, half of the money raised by the shares in the previous four months is transferred to the Refurbishment Fund and the other half is given as prizes to the holders of three shares drawn at random. Since it was started in 2011, the 100 Club has raised almost £3000 for the Refurbishment Fund. Application forms are available in the Hall or by email from Trevor Nicholson at trevor235@trevor235.plus.com. The Rural Services Network is the national champion for rural services, ensuring that people in rural areas have a strong voice. Their purpose is to fight for a fair deal for rural communities to maintain their social and economic viability for the benefit of the nation as a whole. If you are interested in the work that they do, please click on their logo to be taken to their website. If you would like your event listed on this page please email the information to either Graham Litson or Roger Smith. C1257 Road Closure Symonds Yat update. This continues to cause vexation for the residents and businesses in Symonds Yat West. We are continuing to get updates from Balfour Beatty who are doing all they can in very difficult circumstances. I have posted all the notes and an accompanying map on the website. Please click the blue buttons to read them. Speed Limit Review between Whitchurch and Ganarew Cross. At last, we have speed restrictions in place on the flyover between the school and the Crown, and between Whitchurch and Ganarew. It took a lot of meetings and persuasion, but we did it! The Pot Hole 'Hot Line' number is 01432 261800 if you wish to report any defects. Go on! Read it! You know you want to! 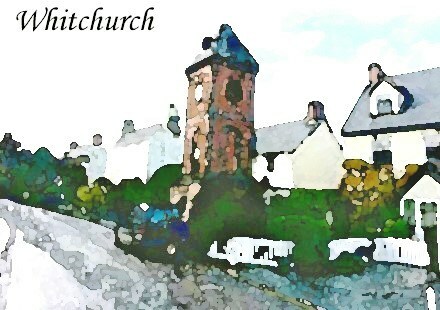 The parish council has become aware that some residents believe that the Whitchurch Clock Tower is owned by the parish council and as such it is their responsibility to maintain and manage this listed building. The parish council would like to make it clear that they do not own, and never have had ownership of the clock tower, and therefore (confirmed after taking legal advice) have no responsibility for its maintenance, insurance, repairs or any other associated liabilities. It is not registered with the Land Registry and extensive research by the parish council in the County Records Office have proved fruitless. We have demonstrated that ownership/trusteeship of the building is not available through the normal legal administration. Should anyone reading this have any evidence to demonstrate the current ownership of the clock tower we would be delighted to hear from you. The parish council over the past years have paid for the clocks annual service and any repairs that are required, and for the electricity supply and will continue to do so until proper ownership is established. Following legal advice, the parish council will be writing to Herefordshire Council. As the clock tower is a Grade II listed building, they have a responsibility for its upkeep. This statement will be updated as more information becomes available. 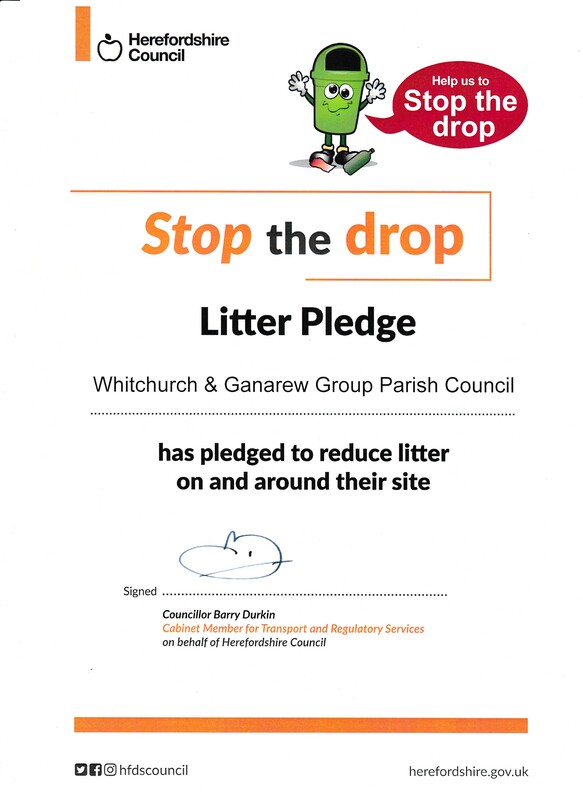 Whitchurch & Ganarew Group Parish Council confirm that they have to the best of their ability tested the website and are satisfied that all reasonable precautions have been taken so that it conforms to the latest government accessibility requirements. External links are selected and reviewed when the page is published. However, The Parish Council are not responsible for the content of external websites.